While it may take some time, becoming a certified public accountant is an excellent way to achieve job security and a high salary. Certified Public Accountants (CPA) can find their place within many industries and have very high mobility within their field. To get certification, a CPA needs to pass all four sections of the CPA exam within a certain time frame. A certified public accountant is an accountant that has passed all four sections of the CPA exam, taken the right educational credits and worked a certain amount of hours under the guidance of another CPA. The exact requirements depend on state, with different states having more stringent requirements for certification than others. To operate as a licensed CPA, a certified public accountant needs to have certification within the state they are practicing in. Certified public accountants perform many of the same tasks another accountant would, but they have expertise and act as a trusted professional. A certified public accountant may be in charge of audits, corporate taxes or other complex financial engagements. Certified public accountants also often become partners within CPA firms or become controllers in large companies. A certified public accountant needs to maintain their certification through the attendance of continuing education courses and maintenance of their CPA dues. Other than this, a CPA will usually have the same types of responsibilities as another accountant. However, a CPA will often have other accountants underneath them. CPAs will often be either partners or senior accountants and will have staff accountants that they delegate tasks to. Often, a CPA won’t do the actual accounting work but instead will review the work as it is completed. Reviewing work can be extremely important, and a CPA needs to have an extensive knowledge of accounting. Certified public accountants should be able to look at the work papers for a client they have not worked on themselves and determine whether the work papers are accurate. A CPA is usually responsible for ensuring that all the work produced is done in compliance with Generally Accepted Accounting Procedures. How Do You Become a Certified Public Accountant? A certified public accountant needs to have a degree in accounting. There are educational requirements for a certified public accountant. Those with a Master’s Degree in accounting will usually find it much easier to acquire their CPA as they will already have the required higher educational credits. To get certification, a CPA needs to pass all four sections of the CPA exam within a certain time frame. The CPA exam is consistent on a national level and is intended to prove that the certified public accountant is knowledgeable about all aspects of public accounting. Passing the CPA exam alone is not enough to become a certified public accountant. CPAs are usually required to have a certain amount of experience in the industry, which requires that they work under a CPA or with a certified public accounting firm. The amount of hours required varies by state, but it can require up to six months of work in the field before an accountant has enough experience to acquire their CPA. The requirements of a CPA can be filled at the same time, so those studying and taking CPA exams can be acquiring their hours as well. The American Institute of CPAs lists the requirements for a CPA as the three Es: education, examination and experience. A certified public accountant will usually advance by either becoming a senior accountant, becoming a controller for a larger company or gaining a partnership within the company they are with. Partnerships in the field of certified public accounting are extremely common. 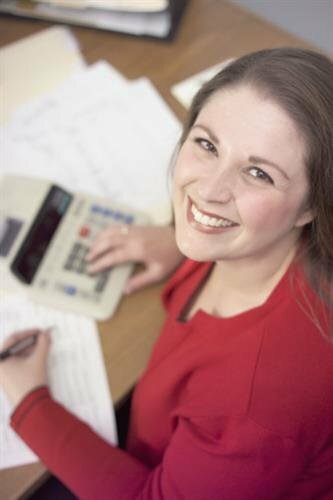 Self-employed CPAs are also common in the areas of taxation, but accounting specialties such as taxation usually demand a partnership due to the high requirements of the field.